The holiday season is fast approaching, and while you’re probably getting ready to make a traditional Thanksgiving meal, you know that you don’t want to prepare food the entire time your family is visiting. Going out to eat might not be one of your holiday traditions, but if you have relatives staying for an extended period of time, getting everyone out of the house and trying different cuisine can be a positive experience. At Moto-i in Minneapolis, we would love to be part of your holiday dinner plans! Now we understand that you may have family members who have never tried Japanese cuisine, and they may not be too excited to sit down to their first bowl of ramen. We understand the hesitation to taste food that one has never had before, but we promise that we’ll thoroughly explain our menu and help everyone, even grandma, find something they like. We also know that you most likely have relatives who prefer a vegetarian menu, and we can serve beet salad, edamame, and other delicious options. While you and your relatives may simply decide to go out to eat at a moment’s notice, it can be beneficial to plan your outing instead. 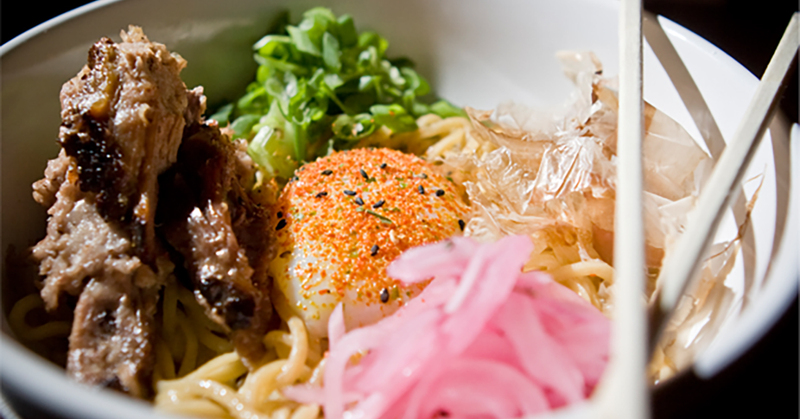 Our private event spaces, such as Ramen Alley or the Big Boy Lounge, are perfect for holiday gatherings. You might want to have a family gift exchange or need seating for several people, and instead of hoping there will be enough tables for everyone, you can rest assured that there’s a space set aside for you. Ramen Alley is great for parties of 15 to 20 people, and the Big Boy Lounge is perfect for 30 or so enjoying a sit-down dinner. Our rooftop patio, Stryker’s Lookout, could be a great option, were it not December in Minnesota. Besides enjoying traditional Japanese food, you can also turn your family outing educational by taking a tour of our on-site sake brewery. Your relatives are always asking to “see the city” whenever they visit, and after you’ve gone to all the museums, galleries, and shops that Minneapolis has to offer, our sake brewery can be a great change of pace. You’ll learn how we make our sake, what ingredients are used, and what options are best with each dish our kitchen serves. Once the tour is over, you can sit down and try different varieties of sake! If you’re trying to come up with great holiday dinner plans that will not only provide your family with great food, but will also give them an experience they’ll always remember, contact Moto-i today. We would love to be a part of your holidays, and can help you find the best date and space for your family dinner. We’re open every day of the week, and you can make a reservation through our OpenTable® account. For private holiday events, please call us and we’ll explain all the details.